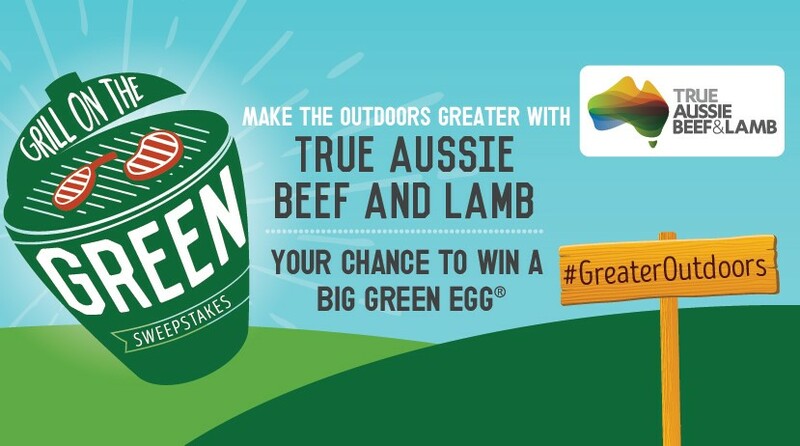 Disclosure: This post is sponsored by our friends at True Aussie Beef and Lamb and the Big Green Egg. 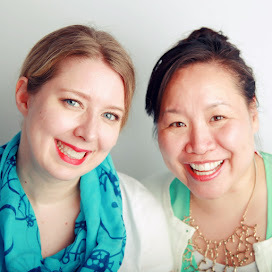 Some of the links within these show notes are affiliate links, which means that if you choose to make a purchase, we will earn a commission, which helps support our show. This commission comes at no additional cost to you, our wonderful listener! We've had a lot of family gatherings so far this summer. 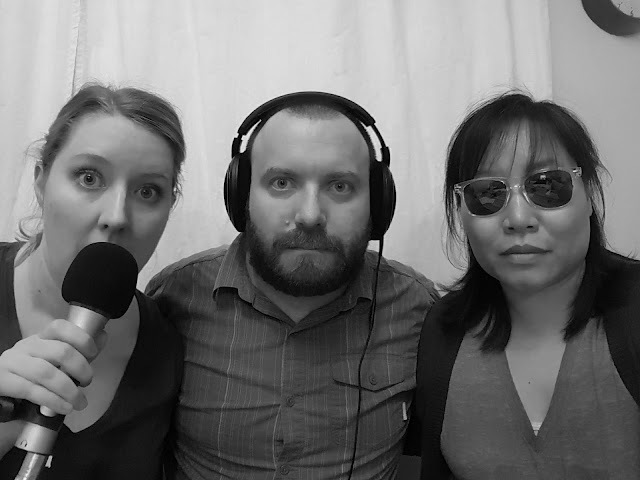 We've celebrated the last day of school, birthdays, a graduation, our first out-of-state podcast trip, the 4th of July--you get the picture. Celebrations call for good food. Recently, we welcomed a new member to our family. And our lives have been forever changed. I'm talking about our large size Big Green Egg! The smoky flavor it adds to the meat we grill is phenomenal. And the actual smoking of the meat? Out of this world! We've been working it hard with all the dinners we've been hosting and let me tell you, we have won at potluck dinner (#ownyourparty, people!). Every. Time. The secret is the smoke. Or maybe it's the different woods we've been using to smoke with. 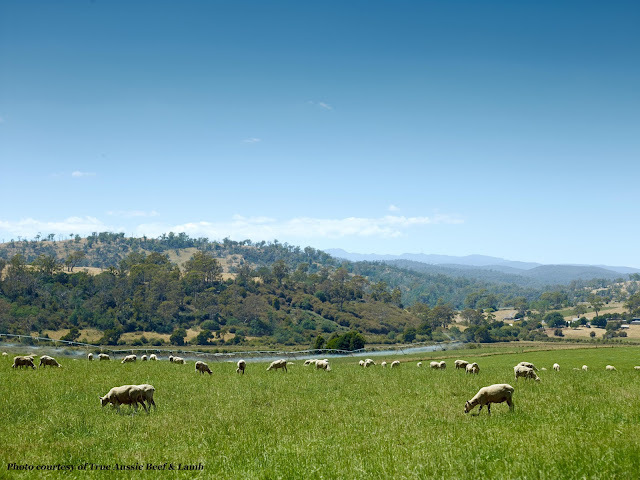 Or maybe it's the grass-fed True Aussie Beef and Lamb we've been using like there's no tomorrow. I guess there are a lot of things that are the "secret" when you #ownyourparty! When I was planning the menu for a recent get-together, I thought of the Aussie lamb shoulder in my freezer, just begging to be smoked. My next thought was WHAT am I going to do with 3 pounds of smoked Aussie lamb shoulder?? And then of course my brain immediately went to tacos, because...tacos are my life. And if tacos aren't your life, don't worry, I've got a recipe for that! 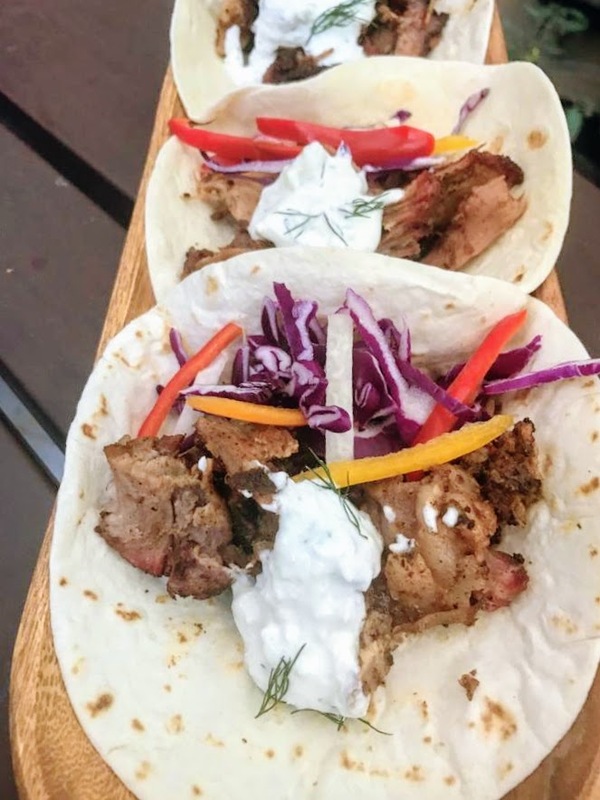 I thought it would be fun to spice up the lamb with a taco flavor and pair it with a cool tzatziki sauce. 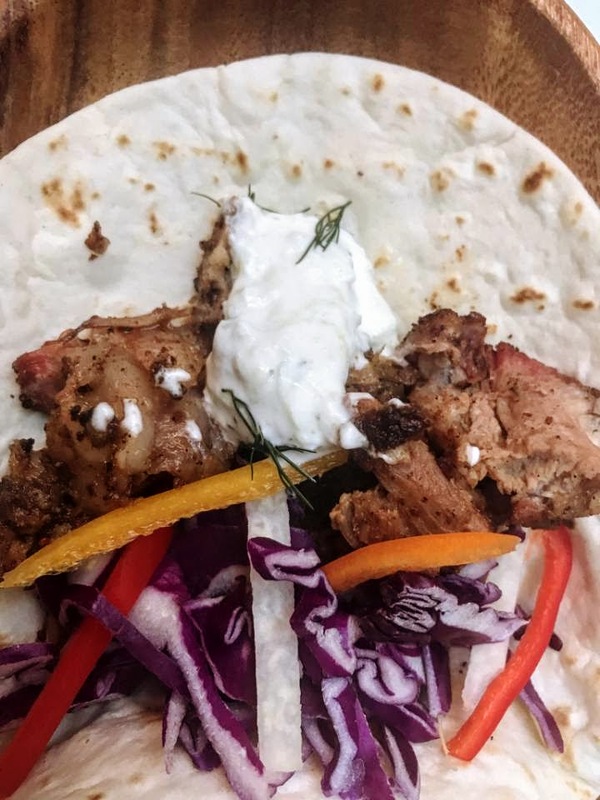 Because lamb and tzatziki are made for each other. Without further ado, I give you Smoked Lamb Tacos! Combine all of the rub ingredients in a large mixing bowl. Place the lamb in the mixing bowl and get rubbing! Get all the nooks and crannies. Really shove it in there. You'll use up all the rub and you should have a nice even coating on the shoulder. My lamb was tied in an elastic webbing which is basically used to keep it all together. It's easiest to carefully remove the webbing first, rub the lamb, and then carefully put it back on. But I didn't realize that until I was almost done. So I pulled half of it down, slathered on the rub, then pulled the other half down and slathered that half in rub. Whatever works--you do you. But also, do it the easy way and remove the webbing first, OK? Now comes the fun part, smoking on the Big Green Egg! First get your Egg up to temperature. The temperature we're aiming for is 220-225 degrees Fahrenheit. So put in your hard wood lump charcoal and light it. (Seriously, everyone should be using hard wood lump charcoal it's a game changer!) After the charcoal is lit and hot, put the hickory chips in. Now put on the ConvEggtor accessory. This facilitates indirect cooking on the Big Green Egg which makes it perfect to use for smoking. On the ConvEggtor, you're going to put your heat safe dish full of apple juice. We used a small disposable foil pan and that worked great. If you don't have apple juice you can use water or beer. Just something that pairs well with your meat so it doesn't dry out while it's smoking. Then you'll put on the grill top and the lamb rests on that. And you'll let it go. And go. We smoked the lamb for 6 hours. You'll want to be sure to use a meat thermometer on your lamb for safe cooking. For ideal shredding and crust, you'll want it to be around 160 degrees F. We took the lamb off when it was 170 degrees F. The crust was perfect and we still had a lot of medium cooked meat that was tender and juicy. Let the meat rest for up to 30 minutes. If you can. We couldn't resist and started diving into it after 10 minutes! Take 2 forks and shred the meat and you'll have tacos for a crowd or a least a few leftovers for you and your family. Combine all ingredients for the tzatziki sauce in a medium bowl. Put it all together by taking a tortilla, put in some slaw, add some lamb, and top with tzatziki sauce. Garnish with dill. The flavor is out of this world! Note: Even our resident picky eater asked for seconds. Talk about a win! If you're introducing lamb to your kids for the first time, I highly recommend this recipe. Our 12-year old had never had lamb before and is usually very wary/suspicious of new foods. And he LOVED these tacos. 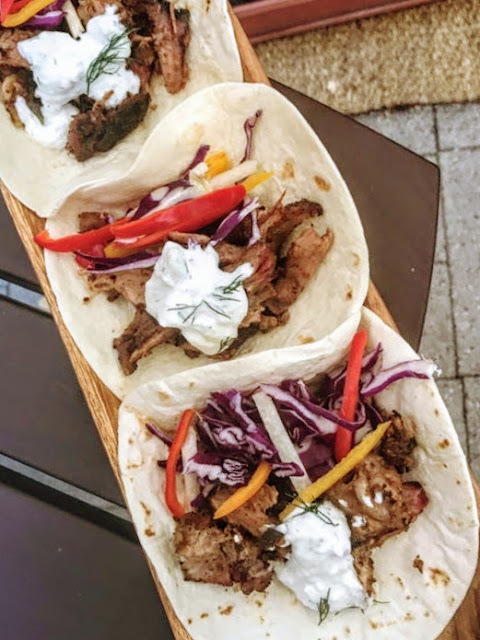 You'll have extra tzatziki sauce, so I recommend serving the tacos with raw veggies and an extra side of the tzatziki for dipping. While you're here, have you entered the Grill on the Green Sweepstakes put on by True Aussie Beef and Lamb and the Big Green Egg? 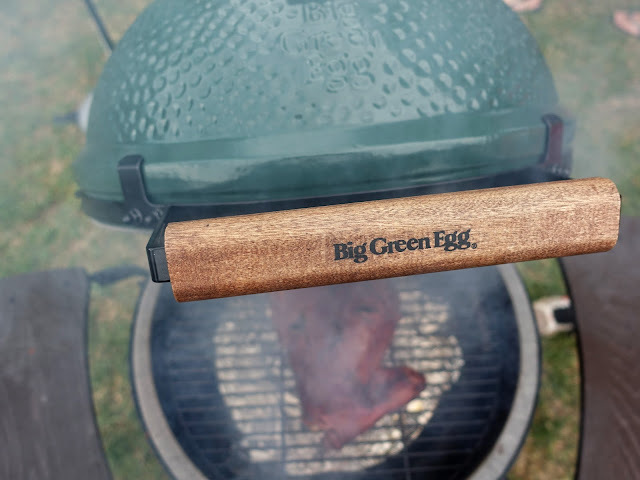 We want one of our listeners/readers to win the grand prize (hint hint: it's a Big Green Egg!). Head on over to Grill on the Green and enter before August 1, 2017.